Last couple of weeks have been spent on vacation – something I’ve always wanted to do – cruise up the Inside Passage to Alaska. We left from Seattle, WA, stopped at Juneau, Skagway, Ketchikan (all in Alaska) and were dropped off in Vancouver, BC. Karen, her parents, her aunt and uncle, and mom all went – one of the last carnival cruises for the season. Pat (Karen’s aunt) has a great photo album of it on Facebook with 35 chosen pics. We came home with something like 2.5GB of photos from our collected point and shoot cameras. The amazing natural beauty is what I went for, and definitely what I received. The bass note for the tour was news that my grandmother, Lela, was going downhill fast and was in the hospital (received just after we left Seattle), and passed away when we were in Juneau. 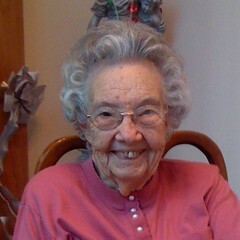 She was an inspiration to me in so many ways – grew up in Burlington, Iowa, stopped at a 6th grade education, lived through the depression, World War II, survived two husbands, and I think that shows she’s the most adaptable – bought her first computer 10 years ago in 2000, even had a facebook page and presence. I abused people complaining about “being too old” for computing with her accomplishments. Her passing wasn’t really unexpected – not at 97 years old, and when I visited her this past June she was definitely looking very frail. Aside from being very tired, and the various physical complications of just being old, she was sharp minded and had a great laugh through it all. I got back from this all last week, had a day off at home, and then back to work for a couple of days. Now the weekend, where I’m writing this and reflecting a bit on the past two weeks. It was a really good vacation, definitely well timed, as the upcoming weeks and months are going to be darned busy. My condolences on your grandmother’s passing.